Also known as 'Piss Alley' – charming, right? 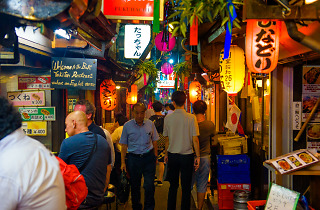 – this ramshackle collection of tiny bars and eateries can be found on the west side of Shinjuku Station, crammed between the railway tracks and the Ome Kaido. Some of the buildings here have survived the frequent fires and other disasters of past decades, as evidenced by the burns and similar damage visible on the walls. 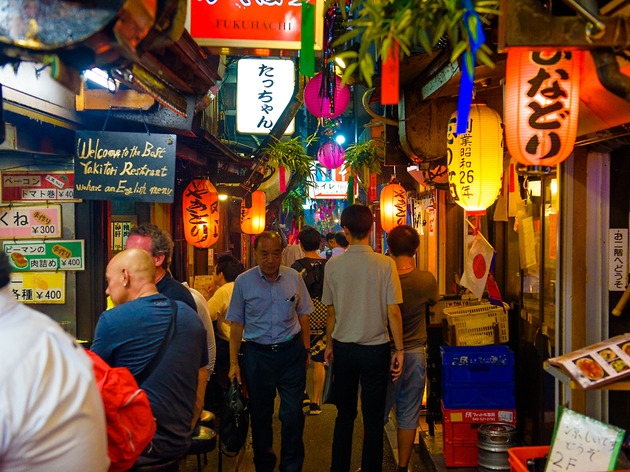 You'll find everything from yakitori joints to cafés and soba eateries lined up, but booze is what it all comes down to in the end.